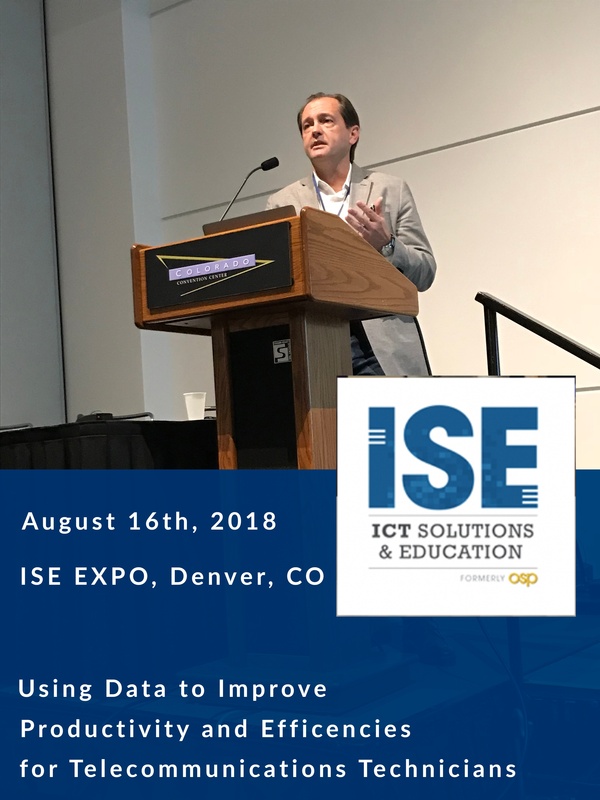 At ISE Expo in Denver last Thursday, Servato's very own Chris Mangum spoke with a room of people on how data empowers carriers to become more actionable, particularly technicians. Later that day Tech Talk panelist, Ken Paker of TDS, spoke about a similar topic that highlighted how internal processes and teams can be made more efficient. More intelligent decisions for network reliability are becoming ubiquitous as data accumulation has made the most niche problems now more efficient. The recent influx of cold weather patterns caused all 50 states to experience some level of snowfall this past week. La Niña, the Polar Jet Stream, typically brings drier, warmer weather to the majority of the southern continental states. However, several rounds of cold fronts caused the blanketing that now leaves about a quarter of the United States with snow. This article originally appeared in the 2Q17 edition of Battery Power Magazine. The article is published on our blog in 4 parts. You can access the full article here. Continuous charging as a method of maintaining standby batteries at a full state of charge has been standard for many years, but has serious negative consequences that can add significant cost to battery management budgets. Continuous float charging accelerates battery failure due to increased temperature, grid corrosion, plate degradation and dry-out. The accelerating growth of Internet of Things (IoT) devices and applications require continuous investment in telecommunications networks to provide the connectivity for millions of new devices. As more devices connect to the Internet, service outages become more impactful to the people and businesses that rely on IoT applications. Safeguarding telecom networks from power outages is the Valve Regulated Lead Acid (VRLA) battery. Stationary VRLAs are ubiquitously used at broadband, wireless and cable sites, and millions are in service across the country. Unfortunately, almost all of these batteries, and thus the sites that depend on them, are vulnerable to a reliability-damaging standard: float charging. While float charging will maintain batteries at full charge, it can have a damaging impact on the service life of the battery, which introduces risk and increases maintenance costs. There is a better way to charge batteries, Adaptive Charging, that mitigates the degrading effects of float charge, extending battery life and reducing maintenance costs. Article: Want to Unlock Technician Man-Hours? This article originally appeared on RCR Wireless' website on June 13th, 2017. To read the original article, click here. The internet is now the “reason for being” for most wireless and wireline service providers. Indeed, wireless and wireline networks are becoming the internet (homage to Eric Schmidt’s original vision of the network becoming the computer). These broadband networks are increasingly looking and working less like “telecom” networks and more like wide-area IT networks as switches give way to routers and lots and lots of “things” get connected to them. And, of course, none of the internet infrastructure works if it is not powered, which calls to mind yet another critical but distinct network – the power distribution infrastructure of the power utility. Despite being regulated by the same PUC commissioners, planning between and among carriers and power utilities is pretty much non-existent. Their network planning sessions are disconnected, parallel discussions that need to be more integrated if we are to ensure that the Internet is always powered on. This week Business Development Manager Alex Rawitz joined The Maker Bayou Radio Show, a weekly radio show and podcast where IDIYA Labs discusses the Maker Revolution, Science, Technology, Education, and other cool topics. This week's subject was Batteries, and the discussion covered the future of battery technology and what that will mean for our lives in a connected world.